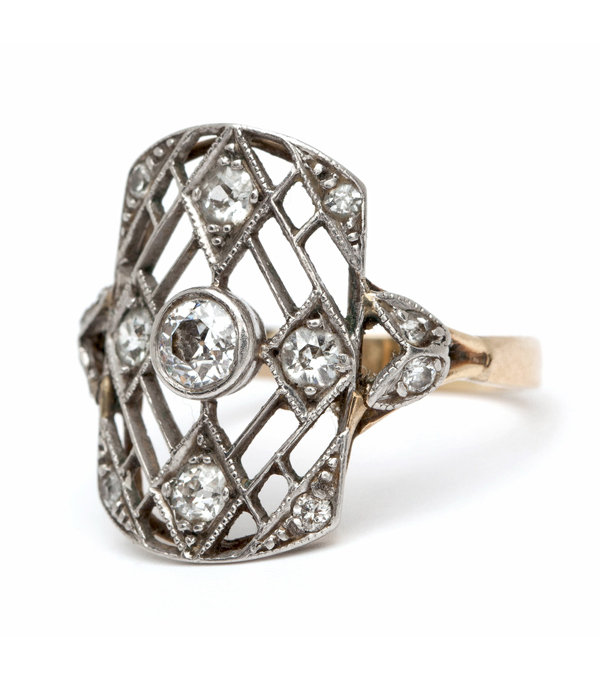 Lightweight and petite in scale, this lovely mixed metals vintage Edwardian platinum and gold diamond ring has a substantial presence. 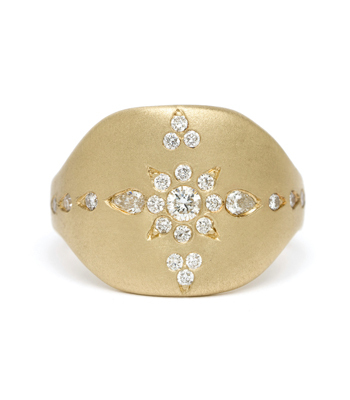 Crafted in platinum and 14K gold this exquisite piece features a mix of old cut diamonds and intricate pierced work creating an ornate canvas that interacts with its wearer. 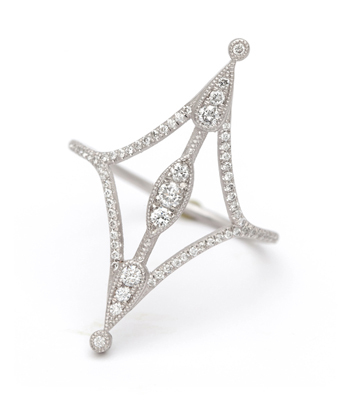 The face measures 17 mm in length and 11mm in width. 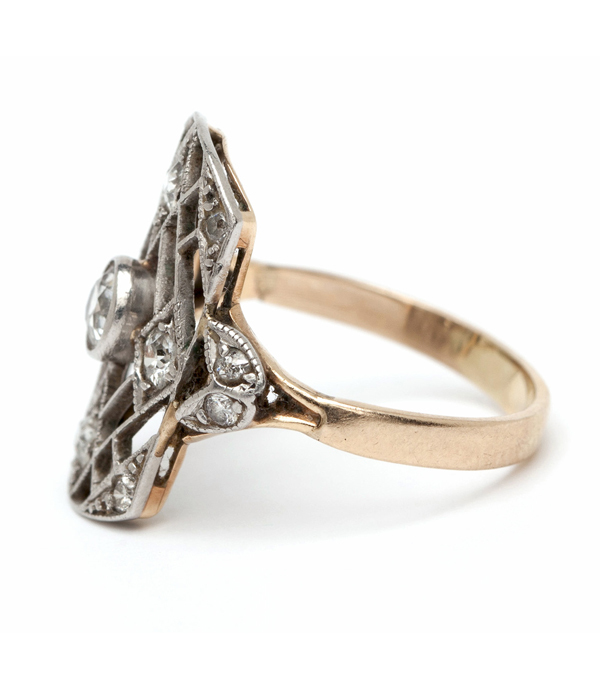 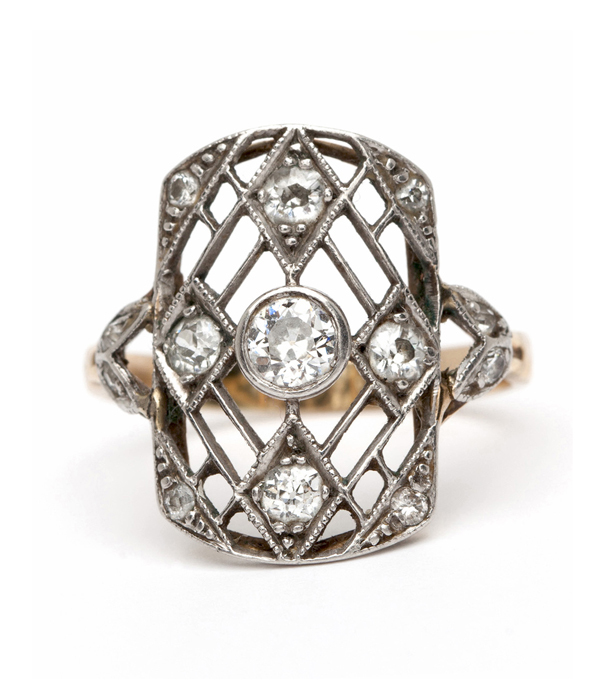 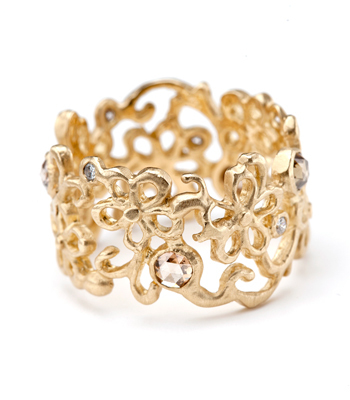 We think this vintage Edwardian diamond ring is sweet and feminine and full of vintage charm!